Civil Appeals Nos. 1394 of 1999 etc., heard on 13th September, 2007. (On appeal from the judgment dated 2.3.1999 passed by the Federal Service Tribunal, Islamabad in S.A. No.809-R of 1998). —-Even if declaration of law is prospective, it will apply to the cases in which the law is declared. —-S.2-A—Constitution of Pakistan (1973), Arts.240, 260 & 212—Abatement of proceedings before Service Tribunal–Scope and extent—Law laid down in the judgment of Supreme Court in Muhammad Mubeen-us-Salam and others v. Federation of Pakistan PLD 2006 SC 602 reiterated/recapitulated—Said judgment was rendered by the Supreme Court while cases filed by the employees and the employers were before it either at the leave stage or appeal stage—Transactions past and closed were saved—Cases pending before the Supreme Court could not be said to be past and closed transactions—Judgment in Muhammad Mubeen-us-Salam applied only to the proceedings in relation to the cases which were pending before the Supreme Court (either at appeal stage or at leave granting stage) and therefore., the cases in which judgments of the Service Tribunal were never assailed before. the Supreme Court had attained finality—Section 2-A, Service Tribunals Act, 1973 was ultra wires of Arts.240 & 260 of the Constitution and unless services of an employee were governed by statutory rules he had no right to invoke jurisdiction of the Service Tribunal—Contention that judgments rendered by Service Tribunal (implemented or not) should be maintained would be totally destructive of the law declared in Muhammad Mubeen-us-Salam and others v. Federation of Pakistan PLD 2006 SC 602—If abatement was applied only to the petitions or appeals of the _employers pending before Supreme Court, it would amount to validating the judgments/orders of the Service Tribunal without even examining them—Proceedings initiated before the Service Tribunal from their very inception stood abated—Direction for abatement by Supreme Court in Muhammad Mubeen-us-Salam’s case was not under S.6, Service Tribunals Act, 1973; basis, of the direction was that in cases where services of an employee were not governed by statutory rules he could not invoke S.2-A of the Service Tribunals Act, 1973 and as a corollary to and as a matter of course in such cases the Service Tribunal had no jurisdiction and after such finding, it could not possibly be said that only the matters pending before the Supreme Court, would abate leaving the judgments of Service Tribunal intact—In fact, nullifying the proceedings taken before the Service Tribunal was not only the plain intention of the Supreme Court but was also spelt out by the directions given in Muhammad Mubeen-us-Salam’s case—View in the Supreme Court judgment in the case of State Life Insurance Corporation of Pakistan 2007 SCMR 1400 was inconsistent with the concept of abatement as contemplated by the judgment in Muhammad Mubeen-us-Salam’s case. Muhammad Mubeen-us-Salam and others v. Federation of Pakistan through Secretary, Ministry of Defence and others PLD 2006 SC 602; C.P. No.552 of 2007 and Mehram Ali and others v. Federation of Pakistan and others PLD 1998 SC 1445 ref. State Life Insurance Corporation of Pakistan through Chairman v. Raz Muhammad 5hanwari and others 2007 SCMR 1400, held, inconsistent with Muhammad Mubeen-us-Salam’s case PLD 2006 SC 602. —-Definition—Concept of abatement is not capable of exact definition. —-S. 2-A—Constitution of Pakistan (1973), Arts.240, 260 & 212—Abatement of proceedings—Held, cases of employees whose services were not governed by statutory rules stood abated with the result that proceedings and judgments rendered by Service Tribunal also stood nullified—Affected/aggrieved parties were allowed a further period of 90 days to have recourse to the available remedies—Judgments of the Service Tribunal rendered on the basis of S.2-A of the Service Tribunals Act, 1973, which were never challenged before the Supreme Court, had attained finality and shall be implemented by the concerned organizations without dragging the employees into further litigation—Cases in which the services of the employees were governed by statutory rules were not hit by the Supreme Court judgment in Muhammad Mubeen-us-Salam and others v. .Federation of Pakistan PLD 2006 SC 602—Supreme court directed that cases of employees whose services were not governed by statutory rules stood abated but other cases would require further hearing on the question whether services of employees in those cases were or were not governed by the statutory rules and same shall be fixed for disposal before appropriate Bench. Muhammad Mubeen-us-Salam and others v. Federation of Pakistan through Secretary, Ministry of Defence and others PLD 2006 SC 602 ref. Abdul Hafeez Pirzada, Khalid Anwar, Raja Muhammad Akram, Waseem Sajjad, Syed Iftikhar Hussain Gillani, Shahid Hamid, Abdul Karim Khan Kundi and Muhammad Akram Sh. , Senior Advocates Supreme Court for Appellants. Syed Asif Shah, Sh. Riaz-ul-Haq, Abdur Rehman Siddiqui, Afzal Siddiqui, Mian Mehmood Hussain, Ch. Khalid Farooq, Mehmood A. Sh., Mirza Hafeez-ur-Rehman, Sh. Altaaf Ilahi, Zulfiqar Khalid Maluka, Dr. Babar Awan, Advocates Supreme Court for Appellants. Mehr Khan Malik and Arshad Ali Chaudhry, Advocate-on-Record for Appellants. Abrar Ahmad Khan Alamgir, Muhammad Javed Iqbal, Muhammad Naeem Igbal, Muhammad Aslam Khan, Sh. Manzoor Hussain Shah, Abdul Majeed Siddiqui, Dildar Muhammad Awan, Shaukat Masood Zafar, Ghulam Samdani Hashmi, Rana Muhammad Khalil, Ghulam Abbas Membn, Munawar Ahmad, ,Syed-ur-Rehman, Abdul Qayum Chaudhry, Muhammad Sabir, Muhammad Aslam Nadeem, Muhammad Ilyas, Abdul Sattar, Muhammad Akram Aftab, Muhammad Naseem Asif, Muhammad Rafiq, Muhammad Nawaz Jappa, Gulzar Ahmad Soomro, Ghulam Hussain, Shams-ul-Islam, Manzoor Elahi, Rahat-e-Alam, Muhammad Jalil, Sadiq Ali, Nazeer Khan, Humayun Irfan, Malik Asghar Ali, Abdul Ghafoor, Iftikhar Ahmad Jogezai, Abdul Qayyum Khan, Muhammad Yasin Rashid, Mamlook Hussain, Faryad Ali and Sahibzada, (Appellants in person). Abid Hussain Minto, Hafiz S.A. Rehman, Khawaja Muhammad Farooq, Senior Advocates Supreme Court for Employers/Department. Ghorsi Muhammad Din Ch. , Muhammad Jaffer Hashmi, Mian Qamar-uz-Zaman, Raja Muhammad Ibrahim Satti, Saleem Baig, Sh. 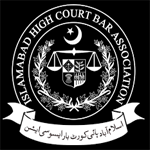 Anwar-ul-Haq, Jehanzeb Khan Bharwana, Riaz Muhammad Qureshi, Hashmat Ali Habib, Mian Abdullah, Javed Altaf, Manzoor Ahmad Rana, Muhammad Bashir Kayani and Syed Asif Shah, Advocates Supreme Court for Employers/Department. Dates of Hearing: 12/13th September, 2007. “(1) Section 2-A of the STA, 1973 is; partially, ultra vires of Articles 240 and 260 of the Constitution, to the extent of the category of employees, whose terms and conditions of service have not been determined by the Federal Legislature and by a deeming clause they cannot be treated civil servants as defined under section 2(1) (b) of the CSA, 1973 and they are not engaged in the affairs of the Federation. (2) Section 2-A of the STA, 1973 cannot be enforced in the absence of amendment in the definition of the civil servant under section 2 (1) (b) of the CSA, 1973. “(a) The cases which have been decided finally by this Court in exercise of jurisdiction under Article 212 (3) of the Constitution shall not be opened and if any Review Petition, Misc. Application or Contempt Application, filed against the judgment is pending, it shall be heard independently and shall not be affected by the ratio of this judgment. 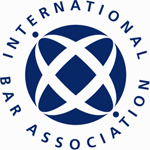 (b) The proceedings instituted either by an employee or by an employer, pending .before this Court, against the judgment of the Service Tribunal, not covered by category (a) before this Court or the Service Tribunal shall stand abated, leaving the parties to avail remedy prevailing prior to promulgation of section 2-A of the STA, 1973. (c) The cases or proceedings which are not protected or covered .by this judgment shall be deemed to have abated and the aggrieved person may approach the competent forums for redressal of their grievances within a period of 90 days and the bar of limitation provided by the respective laws, shall not operate against them till the expiry of stipulated period. (d) The cases in which the order of Service Tribunal has been implemented shall remain intact for a. period of 90 days or till the filing of appropriate proceedings, whichever is earlier. 3. Since no specific order was passed in the listed cases; these were heard on 12th and 13th September, 2007. While examining these matters, we find that cases at serial Nos.89 to 1914, mentioned in the later part of the judgment involve the employees whose services are not governed by statutory rules but” the cases at serial Nos. 1 to 88 and 1915 to 2162 require further hearing on the question whether service of the employees in those cases was or was not governed by Statutory Rules. 4. Syed Iftikhar Hussain Gillani, Advocate submits that the employees had succeeded before the learned Federal Service Tribunal after protracted litigation and, therefore, it was a fit case for applying de fecto doctrine to save .and protect the judgments delivered by the learned Federal Service Tribunal in favour of the employees particularly in the cases in which their judgments had been implemented. Reliance was placed on a two members’ judgment of this Court in C.P. No. 552 of 2007 decided on 13-7-2007. He next submits that according to-the settled principles, declaration of law by the superior courts is prospective. Reliance was placed on Mehram Ali and others v. Federation’ of Pakistan and others PLD 1998 SC 1445. He, however contended that instead of directing employees to have recourse to an appropriate forum it should be the employer who should be directed to avail remedy against the judgment of the Federal Service Tribunal in favour of the employees. 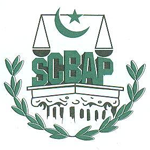 He maintained that the direction of this Court in Para 109 (b) of the judgment in Mubeen-us-Salam’s case regarding abatement ‘of the proceedings was interpreted by a three member Bench of this Court in State Life Insurance Corporation of Pakistan through Chairman v. Raz .Muhammad Shanwari and others 2007 SCMR 1400 which should be followed according to which the proceedings pending before this Court alone stood abated keeping intact the judgments of the learned Federal Service Tribunal in favour of the employees. 5. Mr. Munir Ahmad Paracha, Advocate supported maintenance of the judgments of the learned Federal Service Tribunal. According to him the legislature could confer jurisdiction on the learned Service Tribunal to hear appeals of any category of the employees. 6. Mr. Khalid Anwar, Advocate, appearing for the State Bank of Pakistan, submitted that the cases not covered by Section 2-A stand abated which include the proceedings and judgments of the learned Federal Service Tribunal. 7. Mr. Abid Hussain Minto, Advocate appearing for the Pakistan State Oil supported abatement of the proceedings and submitted that the employees concerned had correctly understood the judgment of this Court by filing suits for damages before the civil court. which were pending. Besides… the learned counsel. mentioned above, M/s Shahid Hamid Khan, M. Igbal Bhutta, Naraindas Matians, Jaffar Hashmi, Asif ,Shah, Din .Muhammad Gorsi, Mr. Ibrahim Satti, Mr. Abdul Ghaffar Chaudhry, Hafiz S.A. Rehman, Javed Altaf, Mian Mehmood Hussain, Mr. M. Bilal, Mr. Afzal Siddiqui, Advocates and Malik Mehar Khan and Mr. Mehmood Ahmad, Advocate-on-Record appeared to either support or oppose abatement of these cases. 8. We have considered the submissions. Even if declaration of law is prospective it will apply to the cases in which the law- is declared. 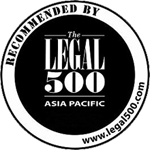 The judgment was rendered while cases filed by the employees and the employers were before this Court either at the leave stage or at appeal stage. The transactions past and closed were saved. However, the cases which were pending before this Court could not be said to be past and closed transactions. The conclusion, inter alia, of this Court was that section 2-A was ultra vires of Articles 240 and 260 of the Constitution and unless services of an employee were governed by statutory rules he had no right to invoke jurisdiction of the learned Federal Service Tribunal. To concede to the prayer that judgments rendered by the learned Service Tribunal (implemented or not) should be maintained will be totally destructive of the law declared in the said judgment. If abatement is applied only to the petitions or appeals of the employers pending before this Court, it will amount to’ validating the judgments/orders of the Federal Service .Tribunal without even examining them. In fact, while directing abatement in para. 109 of the judgment in Mubeen-us-Salam this Court was absolutely clear that the proceedings initiated before the learned Federal Service Tribunal from the very inception stood abated. 9. We will like to observe that concept of abatement is not capable of exact definition. It may be noted that our direction for abatement of the cases was not under Section 6 of the Service Tribunals Act, 1973. The basis of the direction was our conclusion flowing from the determination made by this Court that in cases services of an employee were not governed by statutory rules he could not invoke Section 2-A and as a corollary it follows as a matter of course that in such cases the Service Tribunal had no jurisdiction. After such a finding, it could not possibly be said that only the matters pending before this Court will abate leaving the judgments of the Service Tribunal intact. 10. In fact, nullifying the proceedings taken before the Service Tribunal was not only the plain intention of this Court but was also spelt out by the directions in clauses (c) and (d) of para. 109 of Mubeen-us-Salam. We say with utmost respect to the learned Judges who decided the case of State Life Insurance Corporation of Pakistan supra that it is .inconsistent with the concept of .abatement as contemplated by the judgment of the nine members Bench in Mubeen-us-Salam supra. 11. As far as the judgment of two members Bench of this Court is concerned, basis thereof was firstly that judgment of the Federal Service Tribunal in the earlier round had never been assailed and; secondly, the Staff Service Rules, 1973 of the National Bank of Pakistan were statutory. 12. We will like to reiterate here that whatever was said by this Court in the judgment in Mubeen-us-Salam supra applied only to the proceedings in relation to the cases which were pending before this Court. (either at appeal stage or at leave granting stage) and, therefore, the cases in which judgments of the learned Federal Service Tribunal were never assailed before this Court have attained finality. 13. We have noticed another grievance of Syed Iftikhar Hussain Gillani that some of the employees, successful before the Service Tribunal, had misunderstood the judgment of this Court and had not recoursed to remedies available to them in law. Therefore, any interpretation contrary to the one made by this Court in the case of State Life Insurance Corporation of Pakistan supra will seriously prejudice the employees. We are inclined to extend time in such cases. (a) The cases noted at serial Nos. 89 to 1914 stand abated with the result that the proceedings and judgments rendered by the learned Federal Service Tribunal also stand nullified. The affected/aggrieved parties are allowed a further period of 90 days to have recourse to the available remedies. (b) The judgments of the learned Federal Service Tribunal rendered on the basis of Section 2-A of the Service Tribunals Act, 1973 which were never challenged before this Court have attained finality-and shall be implemented by the concerned organizations without dragging the employees into further litigation. (c) The cases in which the services of the employees were governed by statutory rules are not hit by Mubeen-us-Salam’s case. 15. As a result thereof cases mentioned below from serial Nos. 89 to 1914 stand abated while the cases at serial Nos.1 to 88 and 1915 to 2162. shall be fixed for further hearing and disposal before appropriate Bench.